Spring is already here on OhMyDollz! Let’s forget the cold and the greyness and let some flowers enter our daily lives! Stay connected! 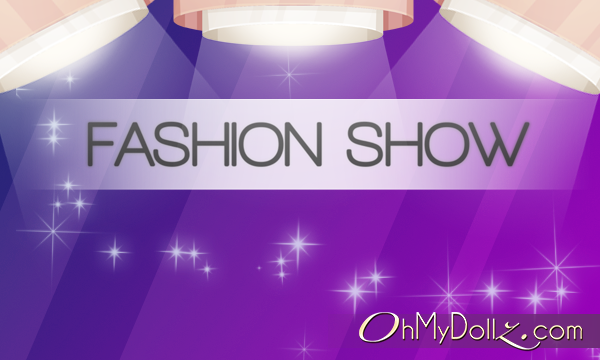 The Fashion Show is back this weekend! 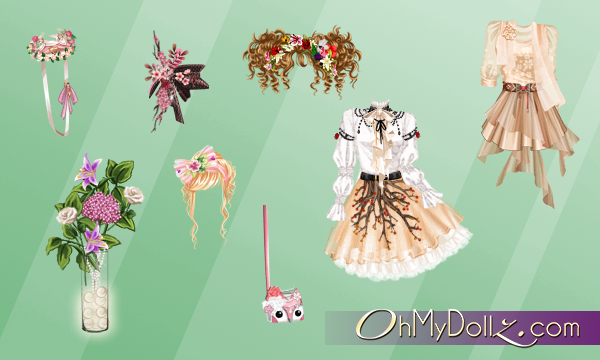 A new selection of players’ gorgeous creations will be offered, on the spring theme. Sarah received incredible creations for the Fashion Show, so many that she offers you to discover her selection with trend selection for spring! These creations will be proposed to the entire community this weekend, at the Fashion Show, which will take the form of a Happy Day. On Saturday and Sunday, from 10:00am to 21:15pm (Paris hour), check the “offers of the moment” in the upper left of the website. Every 15 minutes, a new item will appear! Each time you see the button a new item is available! Simply hover your mouse over it to see the object large and click on the “buy” link under the button to acquire the item. You can even buy it several times if you want. Each item will appear for 15 minutes. At the end of these 15 minutes, it will be replaced by another object. So be quick to not miss anything! What are the peculiarities of these items? Items on sale this weekend are not basic items. 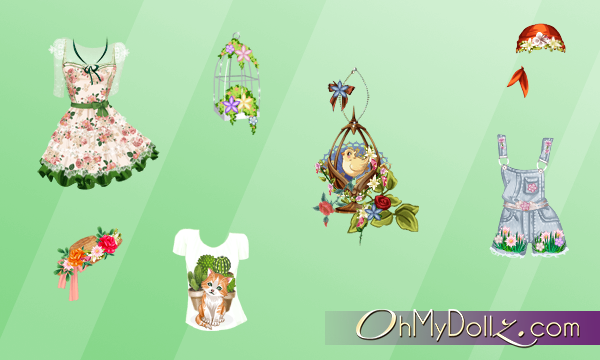 These are creations designed by other players with the OhMyDollz sewing machine. Once purchased, the item will be placed in your inventory in the “my creations” section (BLUE tab of the inventory). – It is not possible to modify a creation from the sewing machine. – A creation will always have the name of its creator (visible by right clicking). – Creatives cannot be used during parades. – You cannot buy a creation via in-loft purchase. But what will the creators of these outfits win? The creator of each creation selected for this event will win $$$! This earning will be calculated based on a percentage of the number of sales made by each item. The $$$ will go to the account of the person that designed the creation (no money transfer between your multi-accounts). These earning will be credited next week. The number of sales of each will not be divulged, this information will be at the discretion of the designer stylist. To the creators: it is useless to attempt to artificially inflate your sales 😉 this will not be taken into account. Spend a pleasant weekend on OhMyDollz!